It took me a while to realize that this was actually written about the author's dog. It's a very emotional book, which brought me to tears more than once, and made me smile a lot, and even laugh out loud occasionally. If you're not a sucker for animals, this book is not for you. I'm a cat person, but love dogs second best, and realize that there's a reason dogs, and not cats, are called "man's best friend." There is NOTHING like the relationship of a dog and its human companions. It is irreplaceable and not necessarily easy to write about. 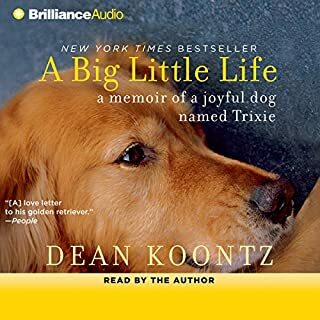 Koontz does a good job on both the writing and the narration. 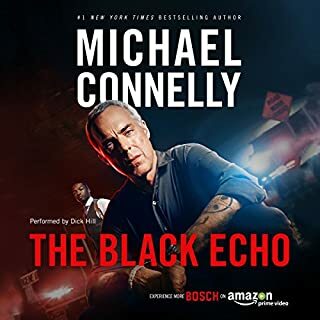 I haven't looked yet to see if he narrates any of his novels on Audible, but I wouldn't object it he did. Worth the download if you love dogs. I liked this book; the main character is quite consistent and believable, and even the romantic angle doesn't seem forced or fabricated. 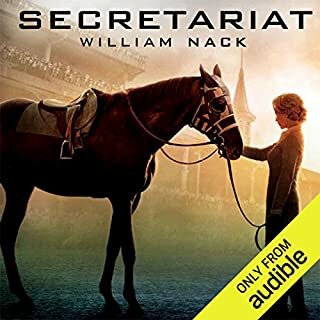 I've already downloaded and started listening to the 2nd in the series and gotten the third downloaded so Audible doesn't start taking away my hard-earned credits. The narration is quite good; he doesn't insert himself into the performance but just gives a credible reading and is easy to listen to. The military stuff seems accurate enough, although I'm not the one to be able to tell. A good book, and I think I'll probably end up listening to the whole series unless #2 really doesn't come up to the bar set in #1. A really good story, character development could have been better, but I've read much worse. I once had a story rejected by a magazine editor for being "futile" and I felt a little like this novel suffered from a less than satisfying outcome, plot-wise. But overall, the writing was very good, and I certainly would read/listen to something else by this author. All the overt preaching he left until a formal "afterword" at the end, which was refreshingly honest; very little of it seeped through into the story itself, which is always a plus. A good book. First of all, if you’re hesitant about downloading this book because you’re a die-hard King fan and are worried that it’s billed as a kind of “murder mystery” or you’re worried that it’s only half the length of those long King books that you really like, then I have only “one” word for you: “fuggeddaboutit!” This is a really good book, and although it’s a bit different from the standard King novels, the murderer in this story is so sick, so terrible, so truly horrible that he might as well be one of King’s monsters that live under the street somewhere. In fact, he is all the more horrible because he lives among normal people, works in a computer store and drives an ice-cream truck, for God’s sake, or in the words of one of the characters "walks among us." 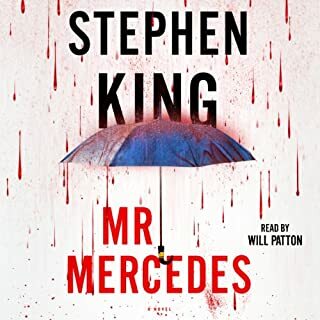 The original crime (the killer drives a stolen Mercedes into a crowd of people and kills several of them and maims several more) almost takes place before the book even starts, or certainly before it gets going, and “solving” the case takes the entire rest of the book, but therein lies the real essence of the book. The “solving” gives King a canvas on which to paint and hang some really interesting, richly-drawn, flawed, and very likable characters (which, after all, is one of King's strongest skills) to contrast with the horrible killer. Although I wish it could have been longer, it would seem that it's about the right length, given the type of story. The only negative I can think of is that it seems a little slow to "get going," but once started it began to accelerate rapidly and kept me glued until it was over. I definitely recommend it. Reviewing this book is difficult for me. I often wondered what made me download it in the first place. I think must have been the blurb and the on-line ratings/reviews, but going back to look at them, I'm not sure I recognize any of them. What kept me going, and made me ultimately finish this book was not the story, which really didn't do much for me. It seemed a bit contrived, a kind of mystery without much point to it, by my lights. By the time I finally found out what actually happened, it seemed like I had already considered every possible solution, although whether I really considered the actual solution is something I can't recall. No, what made me finish the book was the writing. The author is a superb writer, and can make even things that are pretty uninteresting tweak one's ears. Her imagery is incredibly vivid, and some of the metaphors and similes she comes up with just made me smile while I was listening and wondering why I can't write in a similar manner. I wish I had written down some examples to quote here, but I'm certainly not going back to find them. And I can't say that the narration wasn't a big part of it. I am one of many Americans who find British accents very appealing to the ear. I suspect that if this was read in a bland Midwest US accent I would have not finished it and even returned it. Whether I would have do so with a print version we'll never know. 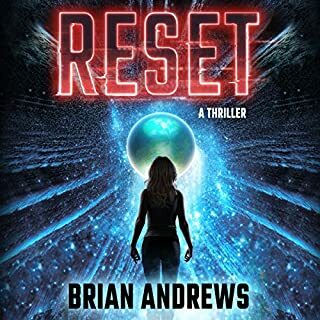 The story was so convoluted that I think know I lost my place at least twice and listened to quite a few minutes over again; it took me a while to find where I left off and even then I wasn't sure. It didn't make me as mad as it could have in other books, because listening to her prose again was never bad. And yeah, I guess it's a "chick book" and I'm a guy, but one who often likes chick books. Usually what I like about these books are the deeply developed characters. The cast in this book seem a bit thin to me and the switching back and forth between 1941 and the 1990's was not really done all that smoothly; it's hard to do anyway, and I guess this story would have been almost impossible to tell without shifting timelines, so I'm not sure how the author could fix this issue in a way that would make me happy. 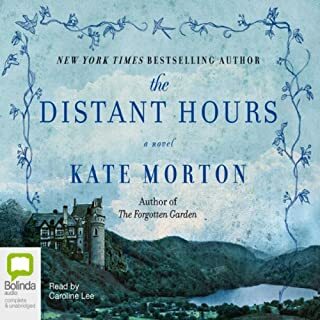 Although I will certainly check out the author's other selections on Audible, I will be very careful and drag my feet before buying another Kate Morton book unless I can be a little more sure of the plot line. Quantum theory is weird. As Niels Bohr said, if you aren’t shocked by quantum theory, you don’t really understand it. For most people, quantum theory is synonymous with mysterious, impenetrable science. And in fact for many years it was equally baffling for scientists themselves. 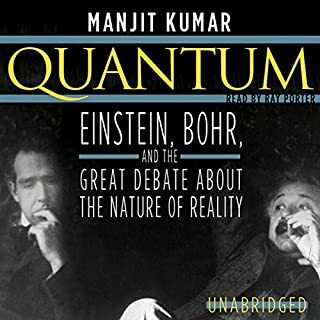 In this tour de force of science history, Manjit Kumar gives a dramatic and superbly written account of this fundamental scientific revolution. I agree with other reviewers who said this is not a lecture on Quantum mechanics -- thank God! It is a fascinating biographical story of things that happened, for the most part, almost a hundred years ago (or more) and are still very poorly understand and agreed upon by the brightest minds of our time. There is, in my opinion, just about the right amount of science to mix with the story. These people were amazing at the turn of the last century. There was one relatively small character in the book who had ELEVEN of his students later win a Nobel prize. You can't make this stuff up. A good read especially if you really like the history of science even more than the science itself. In a pulls-no-punches essay intended to provoke rational discussion, Stephen King sets down his thoughts about gun violence in America. Anger and grief in the wake of the shootings at Sandy Hook Elementary School are palpable in this urgent piece of writing, but no less remarkable are King's keen thoughtfulness and composure as he explores the contours of the gun-control issue and constructs his argument for what can and should be done. I'm not sure what my expectations were. I'm a huge second amendment supporter and certainly right of center politically and I agree with the sentiment that guns don't kill anyone at all. I also think that I've never seen a murder on TV (except I guess I did see Jack Ruby shoot Oswald, come to think of it). There are no murders on TV or in the movies, of course. All that said, I guess I expected a more reasoned approach from Stephen King. Some of his novels get a bit preachy (usually on the lefty side of the aisle) but never enough to bother me much, and I was actually surprised to hear he was a gun owner. His arguments are pretty familiar and lame, however. I am still and will always be a fan, however. As he said in the introduction, I'm one of those who thinks he should stick to writing books. In this essay, he's either preaching to the (gun-control) choir, or whatever the opposite metaphor would be (can't think of one offhand). In 1973, Secretariat, the greatest champion in horse-racing history, won the Triple Crown. The only horse to ever grace the covers of Time, Newsweek, and Sports Illustrated in the same week, he also still holds the record for the fastest times in both the Kentucky Derby and the Belmont Stakes. He was also the only non-human chosen as one of ESPN's "50 Greatest Athletes of the Century". This is a wonderful story, especially so when it sticks to the horse, the racing, and the people. Occasionally the author gets a little bogged down in lists of how much each horse won and the pedigree of various other horses. All in all, however, it's definitely worth the listen. The author can make a prose description of a horse race pretty exciting! Whatever it is in Stephen King’s head that makes him a great storyteller was as near dead as he was for quite a while after his brush with the grim reaper. I guess this isn’t all that surprising; who wouldn’t be a little nonplussed when things got so bad that your own obituary was published in a newspaper? But most people’s work doesn’t leave their brain process so naked and exposed. A doctor, for example, after a hear-death experience, might have a lot of changes in his approach to life and work, but very few people would know about the changes, probably least of all his patients. The story-telling machine in King’s head, I submit, was severely damaged after his accident, but not dead. His works since then seemed to lack something, but it was hard, even for a fan like me, to really put a finger on what was missing. When I first read (listened to) Under the Dome, I thought more than once to myself, “He’s back!” And he was… almost. The ending of the book just kind of left me cold, so much so that it’s hard to remember now what even happened. 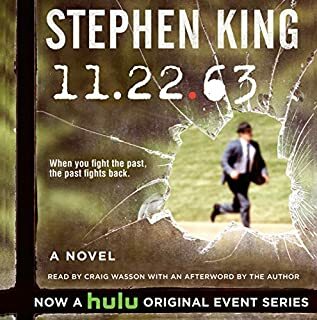 When you read the blurb about 11-22-63 it says it’s about a guy who finds a time portal and goes back to attempt to prevent Kennedy’s assassination. That would have been a short story, but this book is about so much MORE, however. It’s about a man finding a place in the world where he is loved, and a woman who loves him SO much. There are the peripheral and parallel plots at which King is a master both in creating and in keeping straight in his, and therefore in his reader’s heads. And you don’t have to agree with the book’s political stance, which is subtle – but yes, it’s there – in order to enjoy reading/listening to it. The interesting part about story-telling is that if you’re even a decent writer, if the story is there in your head, “all you have to do is write it down!” Admittedly that’s a little like saying that all you have to do in order to perform a heart transplant is “take the old one out and put the new one in, stupid!” I guess what it comes down to is that story telling, in the final analysis, is an art, and writing is basically a craft, and while “arts and crafts” are often fellow travelers, they aren’t the same thing. I don’t think King’s craft was hurt substantively in his accident, but his art, which seemed to have either left him, or least be pulling away from him, is back. A REALLY good book. 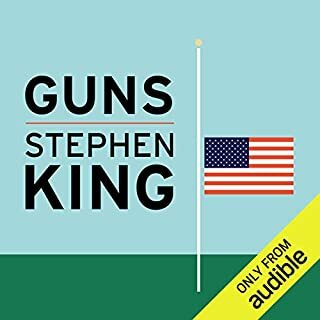 The narration is excellent; the reader does an fairly authentic Maine accent (I don’t have one, but heard one often enough to know), and seems to find distinctive voices for most of myriad characters that are so much a part of King’s novels. I never got tired of listening to him. 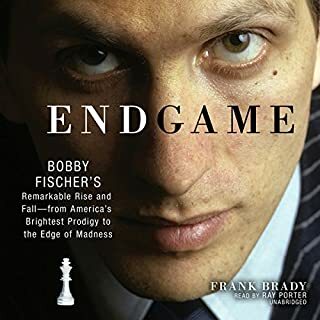 From Frank Brady, who wrote one of the best-selling books on Bobby Fischer of all time and who was himself a friend of Fischer’s, comes an impressively researched biography that for the first time completely captures the remarkable arc of Bobby Fischer’s life. When Bobby Fischer passed away in January 2008, he left behind a confounding legacy. Everyone knew the basics of his life—he began as a brilliant youngster, then became the pride of American chess, then took a sharp turn, struggling with paranoia and mental illness. But nobody truly understood him. Before I say my piece, I’ll state that the book was very well written and the reader was excellent (he had many different accents to perform, even Russian, German, Yiddish and a few others and did well with all of them, to my ear). This book is, of course, really a downer, but when you realize that Bobby Fisher’s entire life, except for a few chess highlights like winning the national championship at age 13 and the World Championship in 1972, was indeed a real downer. I for one, being an eager chess player but a real potzer in terms of skill, learned a lot from this book – just to list a few: the fact that he was married, the fact that he was incarcerated in Japan for several months and lived for several years in Iceland when a was a fugitive, for tax evasion and some other alleged violation of sanctions against a foreign country The author made it interesting without a lot of specific move notation and no diagrams at all (at least none in the audio edition ) and I think this makes the book understandable to a much wider audience. The almost meteoric rise of Fisher to the stratosphere of the chess world was in such stark contrast to the end of his life that the book couldn’t help having not only a sad ending, but a continually depressing entire second half. I guess I always wondered what really happened to Bobby Fisher, and now I know, I’m wondering if I can ever forget it. I’m going to try “Searching for Bobby Fisher” next and am hoping it can be an upper.